The Billboard 200 Chart Will Now Include Streaming. Will It Help Indie Artists? Chart positions and sales numbers certainly aren't everything, but to some musicians they're very important. There's something incredibly gratifying about seeing each consecutive album you release rise higher and higher on the charts – proof that all your hard work, touring, and promoting are working. For a long time now, reaching those charts has been difficult for most underground artists, but it looks like that may be changing in the coming weeks and months. For the first time since 1991, Billboard has altered the way it calculates where albums rank on one of the two biggest charts it controls: the Billboard 200. 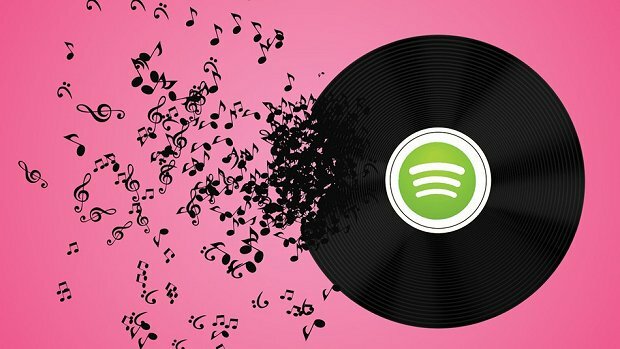 Starting with the chart that rolls out on December 3, streaming services will now be factored into the 56-year-old weekly rankings, which opens quite a few doors for everyone in the industry and shakes things up like never before. Like it or not, the world is moving away from an owning-music model and looking instead towards streaming. It makes much more sense for the customer, and the customer is always right... right? To stay relevant and keep up with the times, Billboard has partnered with Nielsen to begin measuring weekly streams, much as the company does with SoundScan and sales. While it doesn't really help put money in anyone's pocket, this new way of charting albums does level the playing field a bit between the major labels and smaller bands. Now, if any indie artists have hopes of appearing on the Billboard 200 (and other charts in the not-too-distant future), they don’t need to try and convince people to purchase albums, but just play their new tracks on Spotify, Rdio, and the like. True fans will keep the LP on repeat, and those who might only like the band will probably be more willing to help. It's a hell of a lot easier to ask someone to help you for free than ask him or her to give away hard-earned money. If you want to chart, you're going to have to ask people to stream a lot of your music. Billboard has announced that 10 downloads of songs from one album (for those who buy one or two songs but not the entire package) will equal one album sale, and 1,500 streams of songs from one album will also equal one album purchase. So if one fan listens to an album track from your new CD1,500 times in one week, Billboard will count that as a sale. It sounds like an incredible task to take on, but if you’ve got the fanbase, those streams add up quickly. Plenty of musicians and industry people have expressed how upsetting this is, as it sends a signal to those hoping the industry would find a way to financially bounce back that streaming is indeed the future, and they have to accept that. Nielsen reports that streams have already topped the 100 billion mark in 2014 alone, so it's easy to see that those who consume music for free consume a lot of it. The streaming model isn't perfect, and we're likely to see quite a few big changes over the next few years, with Billboard leading the charge. People all over the world have accepted streaming, and soon it will be the primary way the world listens to music. So while it isn't yet the moneymaker everybody wants it to be, it is here to stay. We may now be seeing an upswing, and streaming may start benefiting those who create the product (that, you know, streams) a lot more than it has so far.